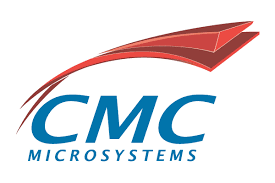 CMC Microsystems (CMC) reduces barriers to technology adoption. CMC works with researchers and industry across Canada’s National Design Network® (CNDN), providing access to world-class design tools, manufacturing technologies, engineering expertise for making micro-nanotechnologies, and for training industry-ready graduates. The CNDN is recognized as a Major Research Facility by the Canada Foundation for Innovation’s Major Science Initiatives (MSI) program. This network is a Canada-wide collaboration between over 60 universities and colleges to connect 10,000 academic participants with 950 companies – we provide industrial capabilities for designing, prototyping and manufacturing innovations in microsystems and nanotechnologies. The PRIMA QUÉBEC community brings together a large number of players in the field of advanced materials. These members include companies and research centres as well as key innovation partners.